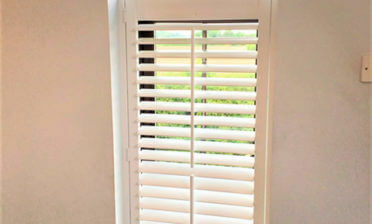 Ben was in Farnborough to install some of our made to measure shutters for a client’s bedroom. Mr and Mrs Pariah were looking for the ultimate solution for their ground floor bedroom window and door areas. The Upvc backdoors lead out to the garden, so as with all our door shutter installs they needed to be able to easily open for full access. 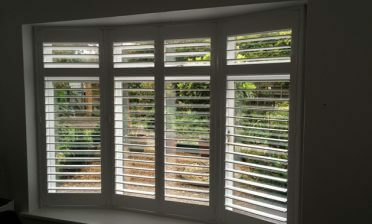 The window areas were far smaller, but still required the same style and finish of shutters. 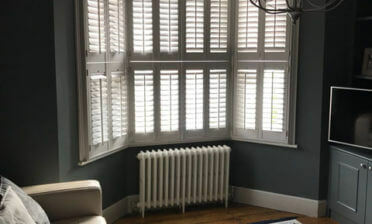 We used tier on tier shutters throughout still maintaining the thick 89mm louvres on all areas with tilt rods down the middle of each panel. 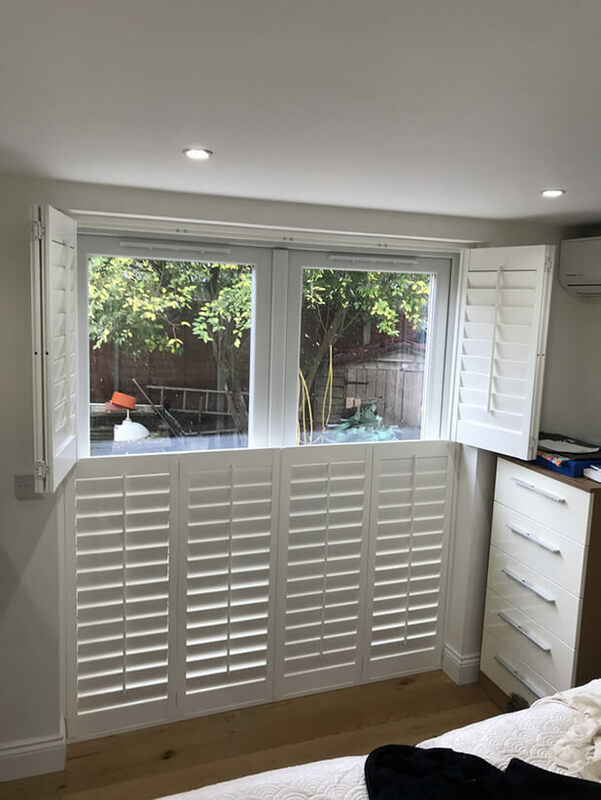 Tier on tier shutters are hugely versatile allowing for the top and bottom sections to be opened and adjusted independently, working amazingly on the windows and doors. 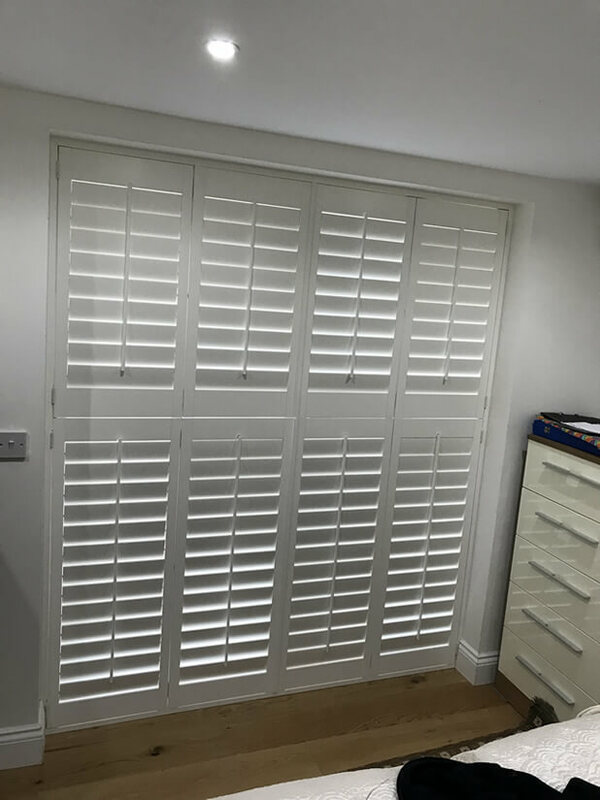 The customers were keen to maintain privacy and these shutters carry out that job perfectly, with the added advantage of maintaining privacy on the lower level of the shutters while letting light stream in through the tops! 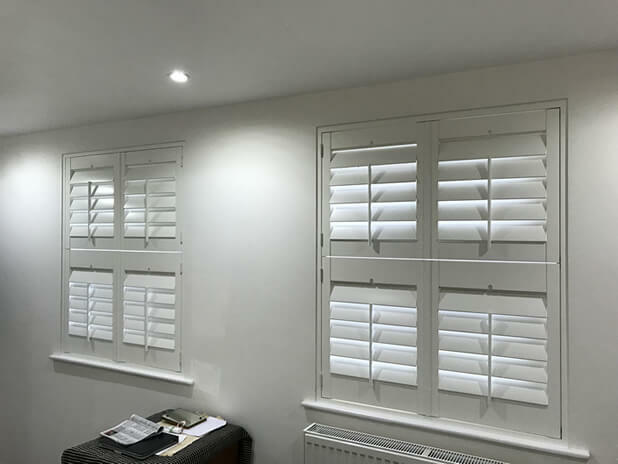 The shutters were all made from our Fiji Hardwood which is the lightest hardwood in our range yet fully robust, finished in a lovely pure white paint. Great for an installation like this where the client will be opening, closing and adjusting them on a regular basis.